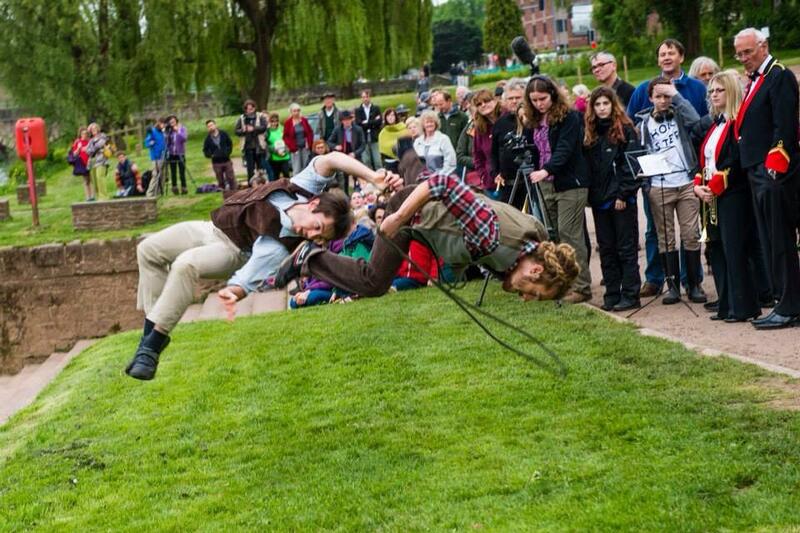 Originally commissioned for Swansea Dance Days in 2010, ‘Bouncing Back’ was then redeveloped in 2014 following a commission from Articulture for the Wye Valley River Festival and subsequently performed at the picturesque Festival No. 6. This playful and surprising piece features bungee chords as the dancers spring and rebound from each other.